Is it entertainers for water or AQUATIC EVENTS that you are looking for? Do you need some entertainment for your pool event or water themed event? 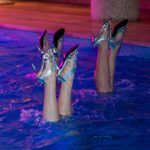 When it comes to any water based or themed event these professional and expert water entertainers are probably recognised as one of the best types of entertainment to have at a pool based event. These water entertainment shows have performed at highly prestigious events all around the world including events in London UK, Berlin Germany, Doha Qatar, Singapore, Kuwait, Abu Dhabi UAE, Macau, Beijing China and Kuala Lumpur Malaysia. If there are any entertainers for water or aquatic based events that will undoubtedly entertain any audience this is the show team. Not only is this water entertainment show rated as one of the best in the world but they have also achieved amazing heights in there individual backgrounds as some of the water entertainers have come from professional sporting and synchronised swimming backgrounds. This gives them the level of professional experience above any other water or aquatic entertainment performance team. 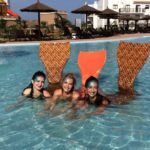 This team of entertainers for water or AQUATIC EVENTS have featured in a variety of TV commercials, social media adverts, short films and have performed at a number of private and royalty based poolside events. Their experience in a variety of different events include private house parties, yacht events, music videos, product launches at poolside events and sporting event openings. As long as the water body or the pool that they’re performances are being performed in has a minimum depth of 1.5 metres then these entertainers for water or AQUATIC EVENTS can perform a world class show for any type of audience. This entry was posted in Entertainment, Streets Utd News and tagged acrobatic water entertainment, aquatic event entertainment, aquatic events, entertainers for aquatic events, entertainment water show, female water event entertainers, water based entertainment, water based entertainment for corporate events, water based events, water themed events.